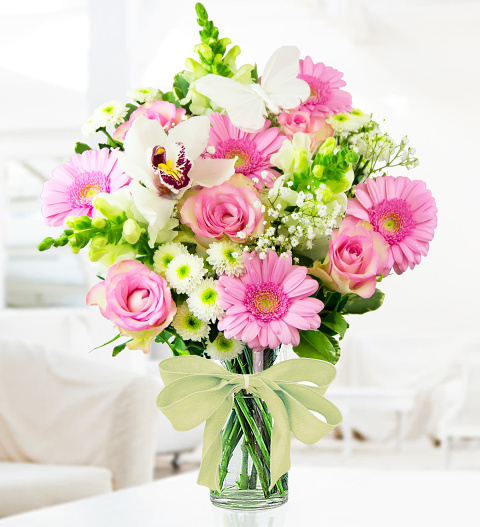 A gorgeous arrangement perfect for celebrating that special birthday or just for showing someone just how much you care. Each bouquet has been beautifully arranged with roses, chrysanthemum, gypsophila, snap dragons accented with a beautiful orchid and butterfly pick. Free chocs included to make them feel extra special! Chocolates may contain nuts.